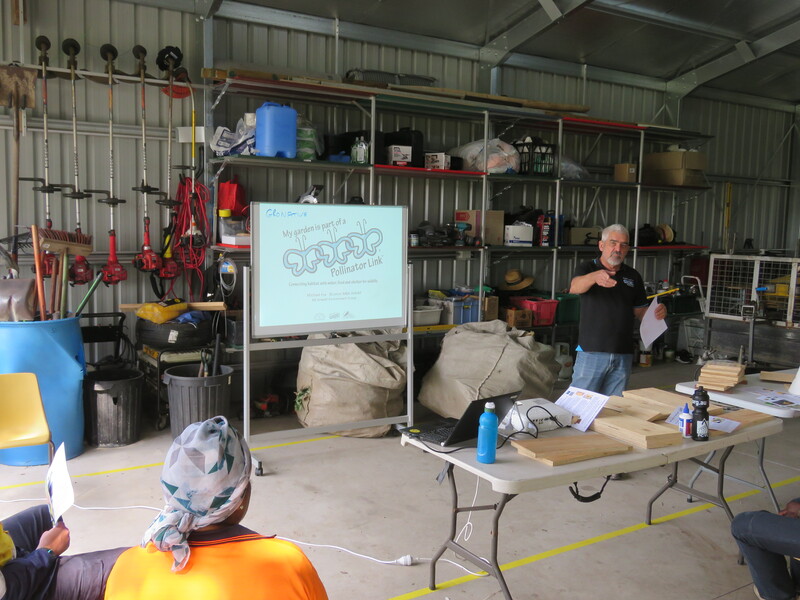 I first introduced participants to the threat of urban habitat loss and opportunities for creation for of a new city wide wildlife habitat by providing Water, Food and Shelter in backyards, balcony gardens, school yards and council parks to complement the island habitats like Mt Gravatt Conservation Reserve. 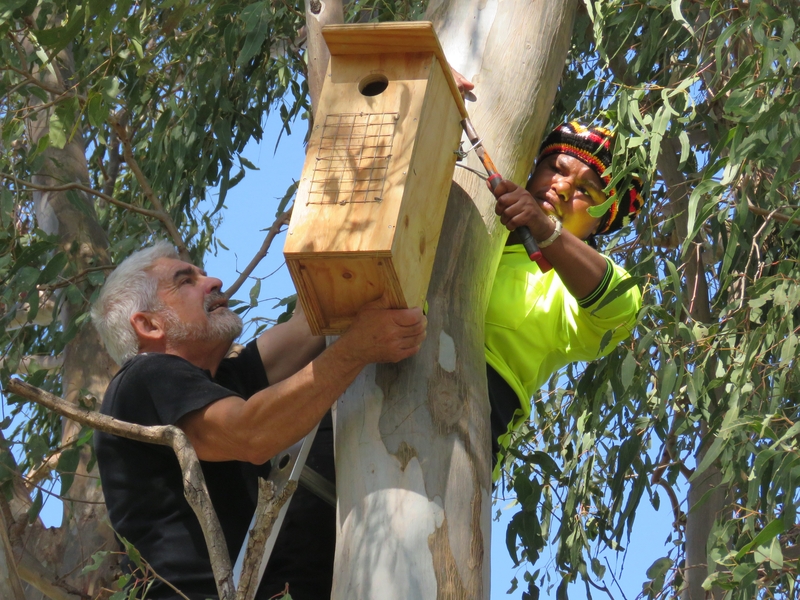 We then moved onto the reason for the workshop: a critical shortage of tree hollows for hollow nesting birds and other species like Brisbane’s vulnerable Squirrel Glider. Working with the build team was a real pleasure. 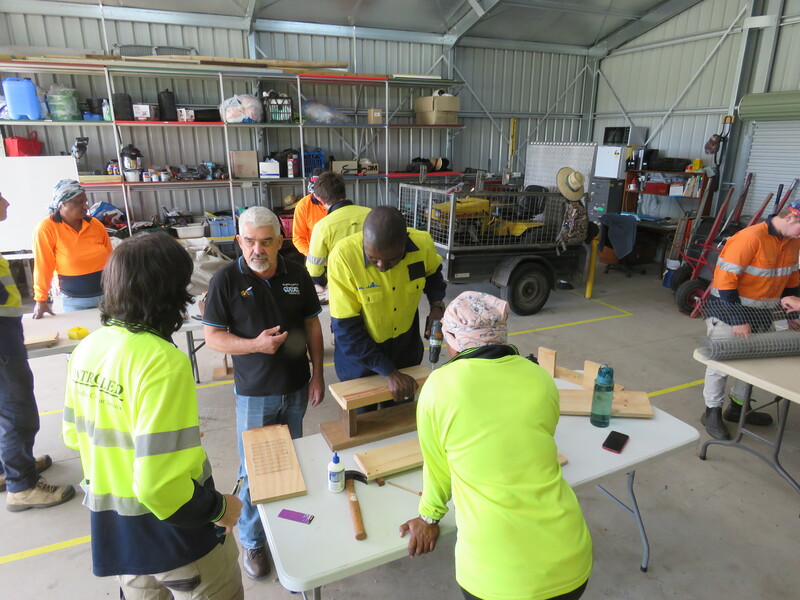 They loved learning new skills and were happy to step up and show other team members how to something. 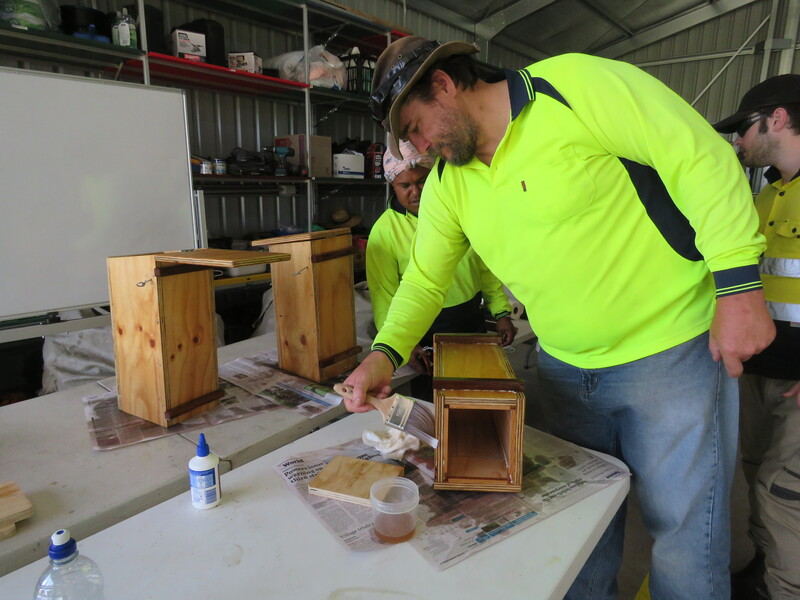 Box design was from Hollow Log Homes’ book “Nest boxes for wildlife : a practical guide”. Also available from BCC Libraries. 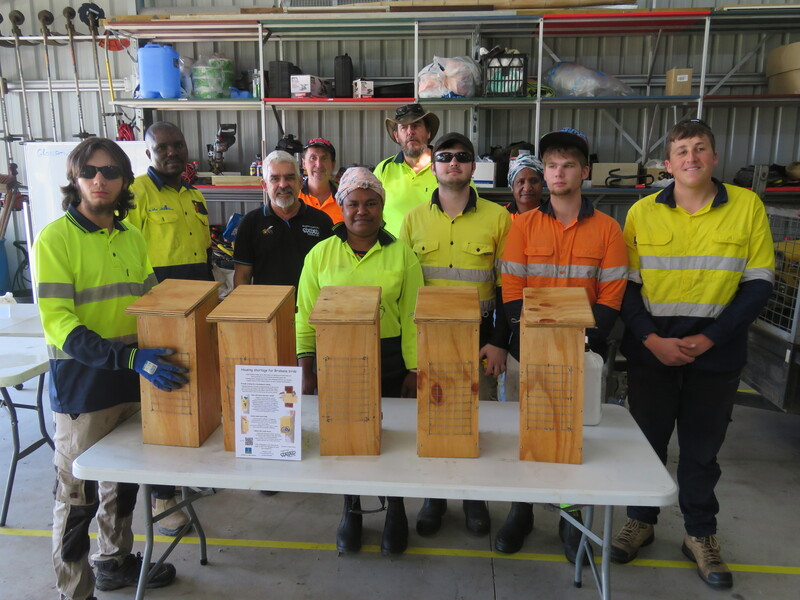 Timber for the nest boxes was cut to size by the Carina Men’s Shed. The Shed also provided invaluable assembly jigs that allowed the team to produce a consistent quality box. Last step was a coat of Lanotec Timber Seal an eco-friendly low toxicity lanolin-based waterproofing. 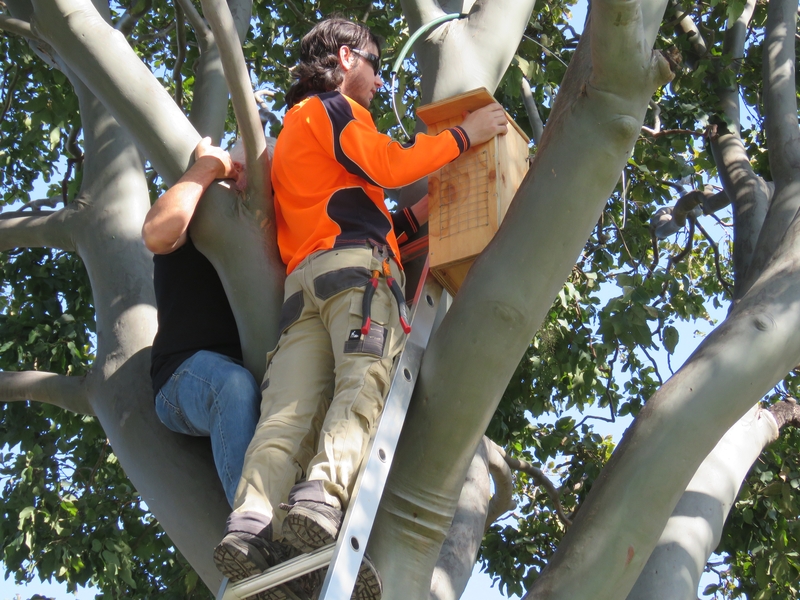 This morning I re-joined the team to install two nest boxes in trees at the Pony Club site. 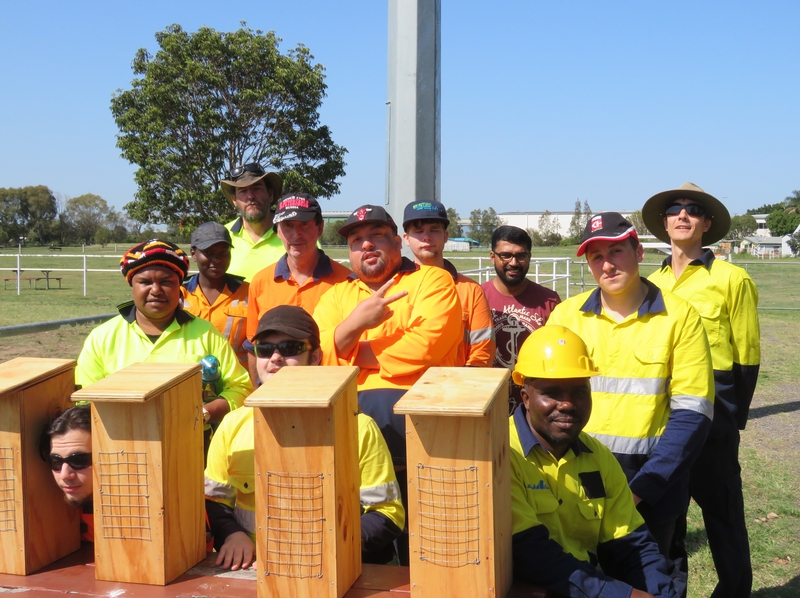 This entry was posted in Pollinator Link and tagged bird nest box, Carina Men's Shed, Hendra Pony Club, Hollowlog Homes, Lanotec Timber Seal, Nundah Community Living Association, Skilling Queenslanders for Work, Squirrel glider, tree hollows. Bookmark the permalink.